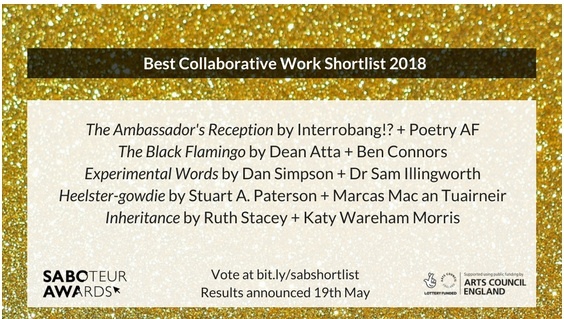 Ruth Stacey and I are incredibly porud to announce that we have been shortlisted for a Saboteur Award 2018, in the BEST COLLABORATIVE WORK category for our duet - Inheritance. I am incredibly proud of this as this comes via nominations from those who have heard us perform, or who have read the book and considered us worthy of such a well-respected accolaide within the poetry community. If you would like to vote for us, please do so by 9th May 2018. Ruth and I shall attend the Awards evening in London on 19th May. How exciting?! Mother, wife, teacher, writer, feminist... All in a day's work!